Madinda taking over at Bosso? 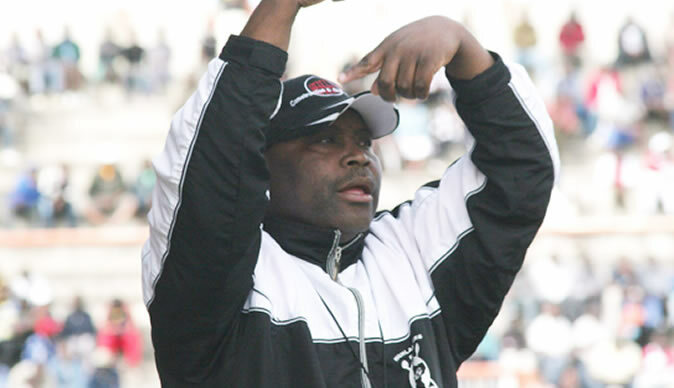 FORMER Highlanders coach Madinda Ndlovu could bounce back to the Bulawayo side next year after the executive engaged him to replace Dutchman Erol Akbay. Akbay has indicated he will not be renewing his contract with Bosso when it expires at the end of the season. Impeccable sources at the Premier Soccer League club said the executive had resolved to appoint a Highlanders son to head the coaching department and Ndlovu was the first to be approached. The source said the executive had informally approached Ndlovu who agreed to a formal meeting where the club is expected to table its offer. Ndlovu last week left Orapa United in Botswana where he was head coach. "Madinda came for the Legends match against Barcelona and the executive took the opportunity to engage him on the seat that will be vacant soon. He has agreed to meet with the executive to hear their offer and then come up with a decision thereafter. The meeting is likely to be held today as both parties would want to quickly wrap up the appointment so that preparations for next season can begin in earnest," added the source. He said Ndlovu has emerged the favourite to take over with both the club executive and board in agreement on his appointment. However, with the impending end of the sponsorship deal between Highlanders and financial institution BancABC, it is Ndlovu's salary that will be high on the list of negotiations. But sources close to Ndlovu revealed that if there are concrete guarantees that he will receive his salary, after the figure has been agreed, he will take up the job. "Ndlovu's history with Highlanders is well documented, the club is very close to his heart and he would be willing to make a return but he wants to be certain that he will get his salary every month. That is the top issue that he is worried about. Remember he is owed from his dues from his previous stint with the club but that will be a matter for another day," he said, adding there are clubs in Botswana who are also eager to land Ndlovu's signature although he has not spoken to any. Highlanders acting chairman, Modern Ngwenya however, said they have not talked to any prospective coach adding the appointment of Akbay's replacement is work in progress. He said chief executive officer; Nhlanhla Dube would have clear information this week. Asked on whether he was being lined up for the Highlanders job, Ndlovu said it is mere speculation. "I'm going back to Botswana today (yesterday) to deal with my issues there and then I will take it from there," he said. Sources at Bosso said all eligible Bosso sons would be considered for the coaching post and these include Amini Soma-Phiri, Rahman Gumbo, Bekithemba Nldovu and Kelvin Kaindu. Soma-Phiri, who was assisted to Akbay, parted with the club unceremoniously this season while Gumbo is engaged at Chicken Inn with Bekithemba and Kaindu at How Mine.